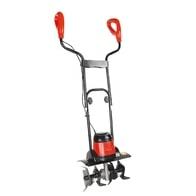 Elektrický kultivátor s příkonem 700 W. Záběr 36 cm. 4 kultivační nože, průměr 18 cm. 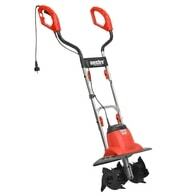 Hmotnost 8,5 kg. 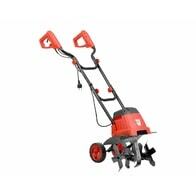 Electric powered tiller with power rating of 1000 W and working width 36,5 cm, 4 knives. 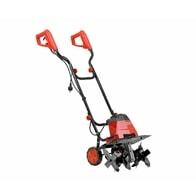 Electric powered tiller with power rating of 1500 W and working width 40 cm, 6 knives.